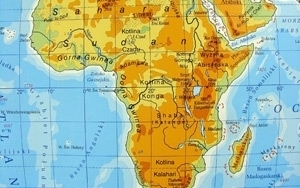 Fundamental gaps in data, knowledge of the African consumer and effective marketing techniques are hurting brand growth in Africa, according to new research from the WFA, WPP’s Millward Brown and several African advertiser groups. The research was unveiled by the WFA at its annual meeting in Marrakech as part of the WFA’s annual Global Marketer Week which is being held in Africa for the first time. The results are based on 82 responses from marketers working for well-known local and global brands at a country or regional level. The findings show a lack of reliable data, including media consumption and retail performance, as well as the progress that marketers in the region are making in delivering more effective marketing. The study also reveals a lack of understanding about target consumers on the continent that local and regional marketers say exists at a global brand level. More than half (55%) of respondents agreed with the statement “global colleagues do not understand consumers in our local markets” and only 20% disagreed. The local versus global issue also applied to local agency partners, with 58% of respondents agreeing that local agencies have a superior understanding of local business issues compared to international agency brands. A lack of basic market level data is hindering attempts to generate insights, according to 62% of respondents, while 45% indicated that a lack of infrastructure is the key barrier to effective market research. One respondent cited the need for “African solutions” to these challenges as likely to be more effective than importing Western approaches. The lack of basic data is also holding back investment in advertising with 55% of respondents citing this as a barrier to investment and 50% claiming it was stopping them accurately measuring return on marketing investment in their market or region. Commenting on the results, Stephan Loerke, WFA Managing Director, said, “Africa’s main challenges lie in its enormous size and diversity; it’s imperative that companies wanting to succeed and grow here recognize that the continent isn’t one economy or homogenous population block.